Isabel was one of Sien's first clients. Her initial site was a static HTML affair. Everytime she released a new book we'd redesign the home page and the book's own section in line with the new bookcover. It was a very special website, but as with many things, the time came to update it. 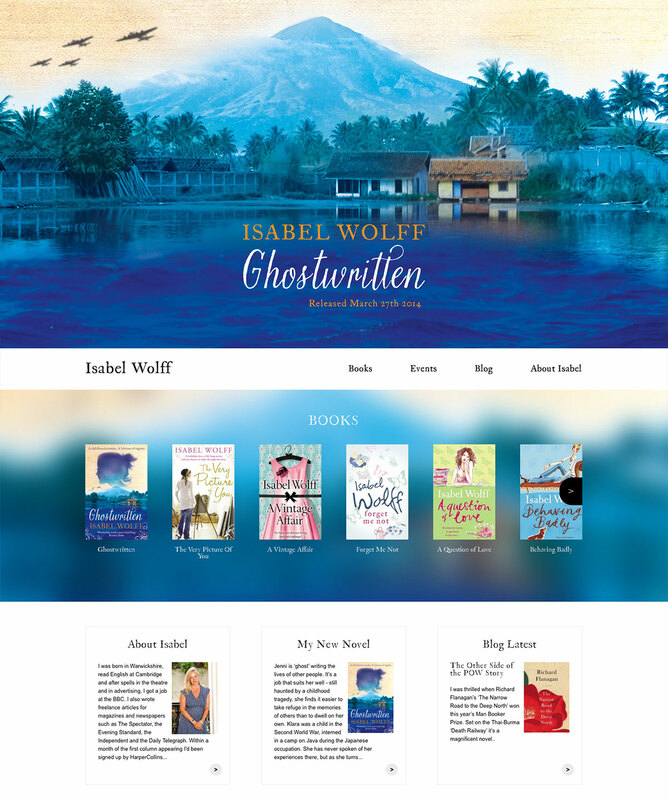 Her website is now a lovely content-managed, mobile-friendly website with a beautiful home page featuring artwork from her latest book full screen. Having upgraded to a CMS we have been able to develop some clever features like how the content changes automatically to the US version if viewing within the USA. Another lovely feature is the frosted effect as you scroll down the home page.